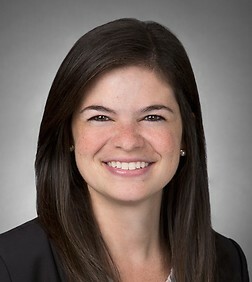 Katie Calogero is an associate in the Government Contracts, Investigations and International Trade Practice Group in the firm's Washington D.C. office. Katie is also an active member of the American Bar Association Section of Public Contract Law. She serves as the Vice-Chair of the Accounting, Cost and Pricing Committee and the Young Lawyers Committee. She recently helped coordinate a panel on hot topics surrounding insurance coverage issues that are unique to government contractors and a separate panel on how to quantify government contract claim damages. She also frequently authors articles for the firm’s Government Contracts, Investigations, and International Trade blog on emerging issues in government contracts cost accounting. Successfully represented Deloitte Consulting LLC in a GAO bid protest challenging the Defense Health Agency’s award of a $53.5 million contract to PricewaterhouseCoopers for process improvement and integration services for the Military Health System (Deloitte Consulting, LLP; Booz Allen Hamilton, Inc.; CALIBRE Systems, Inc., B-411844, et al.). Successfully defended a bid protest challenging the Department of Labor’s award of a $44 million contract to operate the Kittrell Job Corps Center in Kittrell, North Carolina (Del-Jen Education & Training Group / Flour Federal Solutions, LLC, B-406897.3, 2014 CPD ¶ 166).